Back again with a brand which is quickly becoming one of my 'go to' recommendations for people asking me to recommend a value level ukulele. 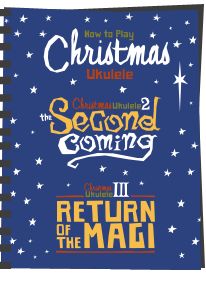 That brand is Baton Rouge, and today I am taking a look at another ukulele from their V2 Sun series, this time the V2 T5 Sun 5 string tenor uke. The V2 sun series ukuleles from Baton Rouge all share pretty much the same DNA, and it's no different here. We have a traditional double bout shaped tenor ukulele made from all laminate mahogany. 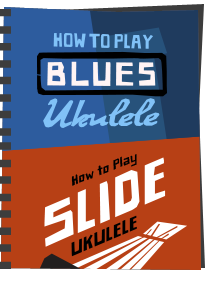 It's extremely similar to the V2 T8 8 string ukulele I reviewed from Baton Rouge recently, and that's not bad thing. It's no bad thing because what is common amongst the V2's I have looked at is that they are all made very well, using thin laminate, with excellent construction throughout. So on this one we have fairly regular looking mahogany outer veneer, no edge binding, but it is clearly not your thick cheap laminate that plagues the lower end of the ukulele market. Decoration wise we have the same sun pyrographic / etching around the sound hole which I like for giving the instrument a little 'something' without being too gaudy or flash. And again the body is finished in a satin coat which is thick enough to look like an actual coat, but thin enough to show off the wood pores. 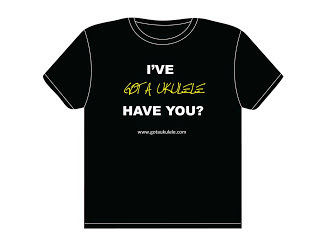 I do like that as if there is one thing I don't like, it's an overly thick coat that makes the ukulele feel kind of artificial (and I could name some very well known brands here that do that). Bridge wise we have a rosewood tie bar like the 8 string, holding an uncompensated bone looking saddle. Of course, this is where you see the 5th string and a word here for those who may not kno what a 5 string is. This is not set up with 5 distinct courses of strings, it's still in GCEA, but that 4th, G string is doubled up in a pair designed to be played together as one. Why would you want two G strings? Well, this is strung to have a normal, re-entrant or 'high' G string together with a low G string. So it kind of gives you the best of both worlds on that G string tone. 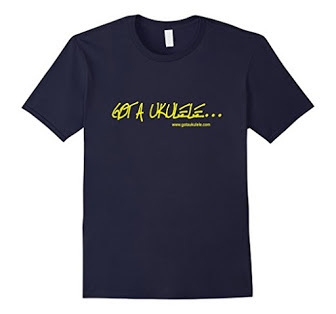 Another way of looking at it I guess is it's a ukulele for people who can't make their mind up about the G string! Either way, it gives a tone that has both the traditional high re-entrant G, together with the bass of a low G at the same time. A little idiosyncratic perhaps, and maybe that's why you don't see anywhere near as many 5 strings as 8 strings. Saying that I know some very high end luthiers that make them, so there is clearly a demand. Moving on, we have two piece sides and the back of this one has a really pleasing and pronounced arch to it. Looking inside all looks neat and tidy and again it's all black like other V2 ukuleles from this brand. I recently discovered that it isn't actually painted rather the inner veneer of wood on these is actually black itself! To the neck, this is made of mahogany in three pieces, showing a joint at the heel and a fairly well hidden one at the headstock. This too is covered in satin coat meaning it's not sticky or grippy. Topping this is a rosewood fingerboard that is really dark and even in colour. Like the 8 string it's also wider than average at the nut at 38mm, helping accomodate that extra string. The edges are bound in black, hiding the fret ends, of which we have 18 in total with 14 to the body. The edges are not sharp, but I would have preferred them dressed back a little more. Let's just say you can feel them. Also like the 8 string we have no fretboard position markers facing out, but have side dots at the 5th, 7th, 10th and 12th spaces. 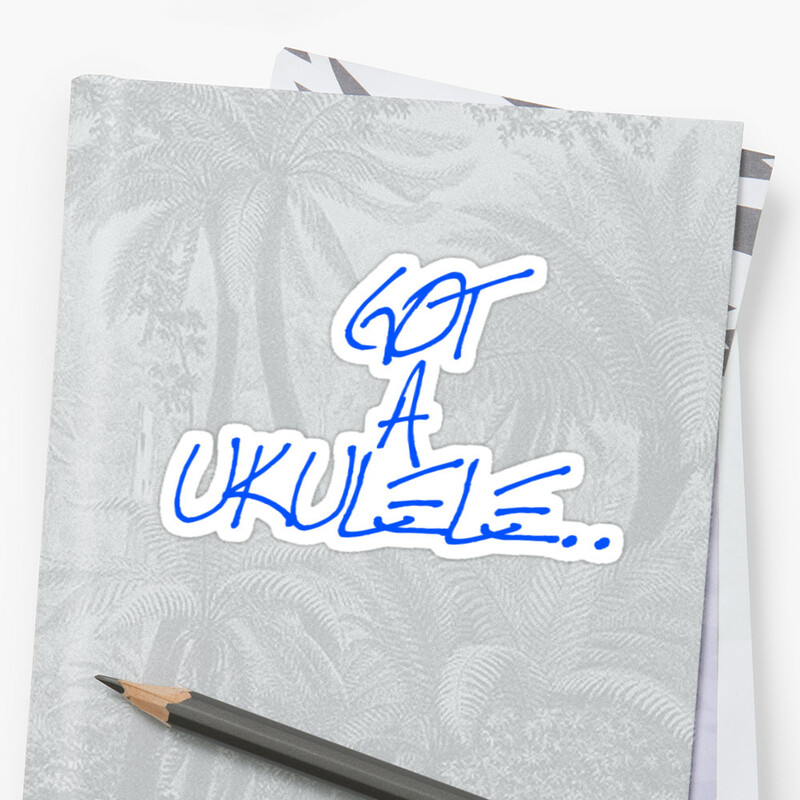 They actually look like they are applied with a brush dot of white gloss paint and are not the nicest feature on the ukulele. I kind of understood why there were no outward markers on the 8 string as they would be lost in the mass of strings facing out, but on this one I think the fingerboard looks a bit lost without them. Beyond the bone nut we have the rather attractice Baton Rouge shaped headstock and it's a slotted design. The BR logo is embossed in the top and the whole front is faced with a darker mahogany than the back of the neck, giving it a pleasing warmer reddish brown edge that is particularly noticeable on the slots. Unlike some other V2 series instruments I looked at that use unbranded geared tuners, it's really nice to see that the five pegs on this are open geared Grover brand tuners with vintage style buttons. Really nice. Completing the package are Aquila strings with a regular Aquila high G string and an Aquila Red Series low G. Some people will moan at that, as those reds really are strings that divide opinion, but as you should know I don't mark reviews up or down based on strings as I figure most people will swap them out at some point to try something different. And the price is typically Baton Rouge too. I've seen these available now for anywhere between about £110 and £120, which really is an incredibly tempting price for an instrument like this I think. So a little less than the 8 string and a little more than the regular 4 string, which figures I guess. Like other Baton Rouge ukuleles I have reviewed, this one is light, nicely balanced and tactile to hold. It 'feels' well made in the hands and the quality belies it's price. The setup on this one was also just about right for me. Sound wise, I actually found this something of a difficult one to write. You see, for me, I have never really found the sound of a 5 string to be that appealling or even something I quite understand the need for. If I want something more jangly, I'd go with an 8 string, if I want something cleaner, a 4 string. 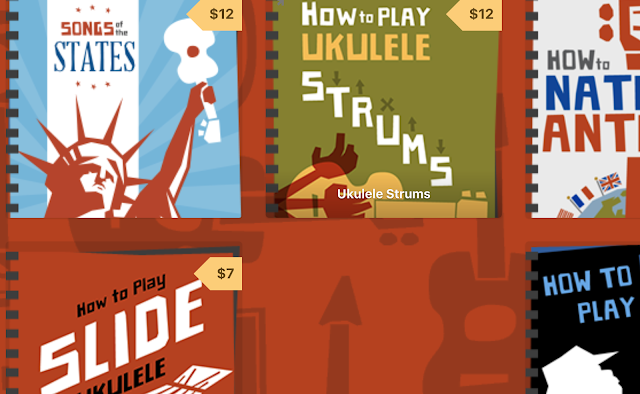 And if I can't make my mind up between high or low G, I tend to keep a couple of similar ukuleles in different tunings for when the urge takes me. Put simply I don't really 'get' the need for both low and high G on the same instrument. All of that said, that is purely my personal opinion and as I say above, I know plenty of people who like them, so I must be objective for this review. 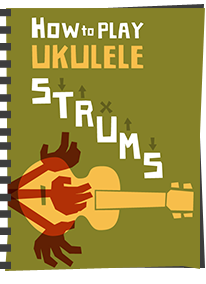 So this to me comes across very much like other Baton Rouge ukuleles in that it has a tone and projection that punches far above it's weight when you consider the price you are paying. It has a chime too it, good sustain and clear projection too. Intonation was also good all over the neck. The low and high G's do come through together distinctly as they are intended to, and that's whether you are strumming or picking. What I did found was a kind of shimmering between the two G strings that I don't think should be there. At first I thought it was down to the tuning of one of them being slightly off. You see, when two strings are at the same note, but very slightly out they kind of pulse and warble with each other. But it wasn't actually that as I triple checked with both my ear and an accurate strobe tuner - they were bang on to each other. What I actually think it was though was more my own poor technique as I was making the two G string vibrate into each other. If I played more considered and was more careful with attack angle and plucking position it would go away. You may notice it in the video, but as I say, I don't think it's a fault of the instrument at all, more this player! I'm mentioning it here as an explanation more than anything else. Maybe that's more a thing you get with 5 strings, I'm not sure as I simply haven't played enough of them. All of that said, it is a likeable sound and a very likeable price. I suspect I would grow to like it more if I had it with me for longer, but I still think I am happy enough with the instruments I have tuned in a variety of options. If on the other hand you are curious or have already played a 5 string and enjoyed it, at this sort of price and build quality, I'd have to suggest you take a serious look at these. It's another great one from Baton Rouge that I can happily recommend. STOP PRESS - the UK distributor for these, Stones music has clarified in comments below that the nut and saddle on these are bone and not NuBuone - happy to correct the wording. Also see his comment regarding the strings they come with - you might not get an Aquila Red on the low G, you might.. Thanks for another fair review, Barry. A note on the nut and saddle - yes, these are bone, as opposed to Nu-Bone, which is used on all other models (apart from the Guitarlele, which is just plain old plastic). Why that should be, I don't know, but I certainly notice it when making any adjustments because bone is not the most pleasant smell when filing! And on the strings - this model has been in our catalogue for a couple of years and, up until very recently, have always had the Aquilla Red low G. My last batch had some with a would low G - I can't make up my own mind which I prefer but felt I should mention, as people may buy one expecting red and find they receive a wound G. If the customer has a preference, I'd suggest asking the supplying store which it is. I'll be at the Frankfurt MusikMesse next week and will ask if it's a permanent change or just this batch. In fact, made an adjustment to the text and added in a Stop Press too.